Use TB1BCK6 to reference this item. TO BE DISCOVERED AT EVENTS ONLY!!!!! This coin will stay in my personal collection. It will travel with me to events to be discovered by all geocachers who take the time to look thru my ever growing collection. [b][i][font=Comic Sans MS][size=3][blue]Catching up on some discoveries on trackables made over the past couple of weeks, months, and years after attending events and finding geocaches. Thank you for sharing with us. Thanks for sharing your collection. Carry on. It was such a treat to get the chance to see all these coins in person! 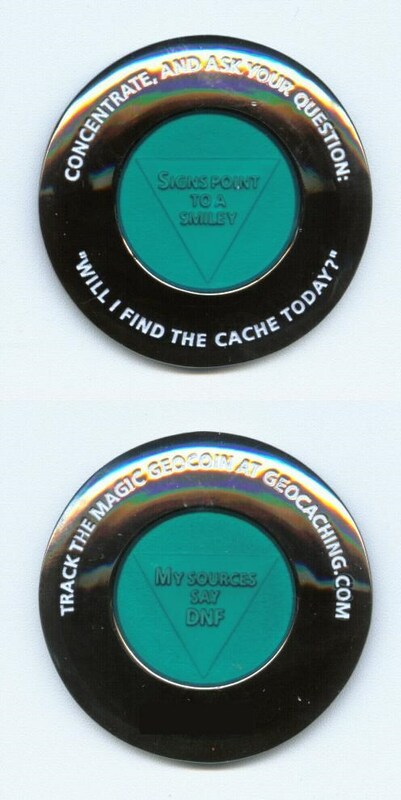 Discovered at the 2011 MWGB pathtag/Geocoin trading area. Thanks for letting me flip through your amazing collection drneal ! Thank you for the permission to log. Discovered at the 2009 MiGO Winter Social in Eureka, MI.